Purchase the book and e-mail a copy of your receipt to earlybird@takechargeofyourtalent.com to get this special, limited-time offer. 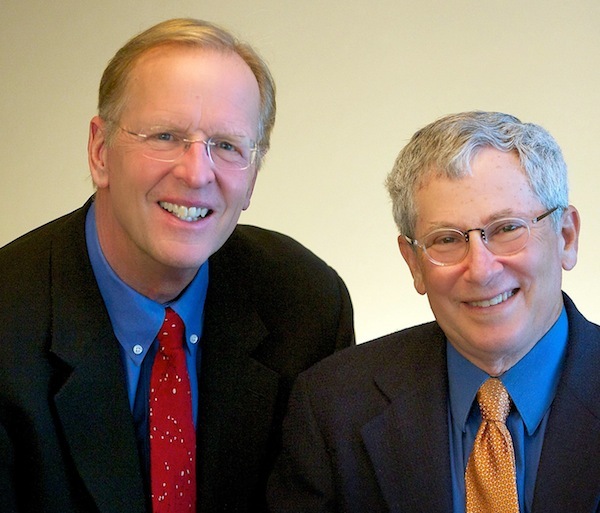 Access to an exclusive webinar with authors Don and Jay to discover how you can make 2013 your best year yet, using the keys in the book. 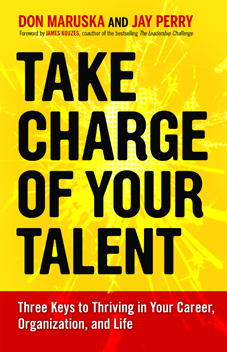 A copy of the Take Charge of Your Talent Manifesto in PDF form suitable for printing. You’ll want to display this with pride and share with coworkers, colleagues, family, and friends. Entry into a special drawing for a complimentary Talent Catalyst Conversation with a Certified Talent Champion (limited to 12 winners). In an hour’s discussion from the convenience of your telephone, this carefully designed and tested Conversation will guide you to identify your aspirations and opportunities with action steps to make immediate progress. Buy 10 or more books at same time: Lock in a complimentary Talent Catalyst Converation with a Certified Talent Champion. Buy 25 or more books at same time: Lock in a complimentary full Take Charge of Your Talent package (includes personalized sessions for each of the three keys described in the book) with Don or Jay. Send an e-mail to EarlyBird@TakeChargeofYourTalent.com by February 15, 2013, with a receipt for your book purchase(s) from any source you choose. Special extra for Barnes & Noble in-store customers: Barnes & Noble is featuring “Take Charge of Your Talent” on the New Release tables in its top stores. Buy the book in a Barnes & Noble store, and we’ll enter you in a drawing for one of four $25 Barnes & Noble gift certificates. Please share this offer with your coworkers, friends, and family members so everyone can benefit. Take charge of your talent — the perfect moment is now! You guys are adorable, can’t wait to see the book! Sending big love and wishes for insane success. Thank you for any other informative site. Where else may I get that type of information written in such a perfect means? I have a challenge that I’m simply now running on, and I’ve been on the look out for such info.